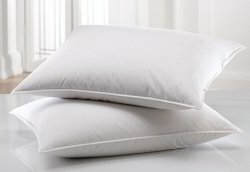 Polyfill Compressed Pillows ( size 17 x 24 inch ) and above . 100 % cotton fabric at the top and weight varies from 450 gm , 550 gm , 650 gm etc . We are offering Hospital Pillows to our clients.